Electric bikes (ebikes) are great tools and they can serve a number of purposes. Most of our customers purchase their ebikes for commuting, taking the place of a 4-wheeled vehicle and getting to work via 2 wheels (without sweating). Others use their ebikes for running errands and recreation, enjoying how far and how long they can ride. Our commercial customers use ebikes instead of golf carts, Segways and other expensive, cumbersome utility vehicles. With no license or registration required, an electric assist bike is a great transportation tool that anyone who can ride a bike can use! We only sell ebikes - it's not a part-time gig or a side business for us. We strongly recommend you test ride any ebike that you are considering. It's hard to tell what quality feels like on the Internet, so come visit! We have a large selection of ebikes at our Launchpad for you to take a spin on. You'll never pay shipping when you buy from us and we deliver your ebike, assembled and ready-to-ride for FREE across the great state of Texas! What's not to love about that? Don't know which bike may be right for you? No worries, we've done this before. Send us a little information and we will narrow in on the ebike(s) that deserve your focused consideration. The ebikes that we carry are transportation-quality ebikes (not toys). We occasionally have used ebikes for sale that are retired from our rental fleet or are from customer trade-ins that are less expensive. Financing options are available for any amount you'd like just call or email the shop for details. Test rides are always available while we are open, but we are happy to meet you at our Launchpad to test ride at a time convenient for you. Just click on the button below to pick your date & time! I'd Like to Take a Test Ride! 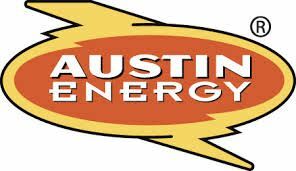 Customers of Austin Energy are eligible for $200 - $300 incentives when they purchase an electric bike! This offer is good for up to 3 two-wheeled vehicles per applicant per year. (But it does not apply to ebikes purchased online.) After you purchase your ebike, we will provide you with everything you need to submit to your application. Commercial buyers can get fleet incentives too!